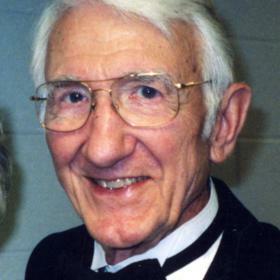 Reverend G. William “Bill” Mason was grateful to leave the physical life he had enjoyed for 92 years to enter fully into the spiritual, everlasting life he had been given through Jesus Christ. All who knew Bill would agree that he was an exceptionally caring and generous man. He loved his family dearly. 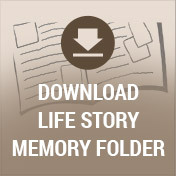 Bill leaves behind a beautiful tapestry of memories and the legacy of a friend of God. There is no doubt that he will be greatly missed and fondly remembered by the many special loved ones in his life. Bill was born at home to Gerald W. Mason Sr. and Esther Leona (Carmer) Mason on December 31, 1925, in Zion, Illinois. 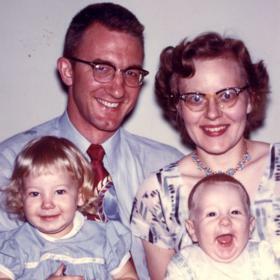 Bill and his younger brother, Bob, shared parents who were dedicated to the Lord. His father was a high school biology teacher and his mother was a homemaker until they devoted their lives to Christian mission work in England, the Navajo nation and British Guiana. 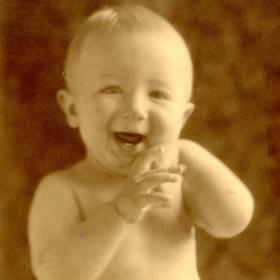 Bill's intelligence and love for the Lord was evident from early childhood. When the Great Depression began with the stock market crash of 1929, Bill was 3 years old and giving classical and Biblical recitations on Zion's small radio station, WCBD. At that time, this station reached to some audiences around the world. Bill was an avid reader, even choosing to read the dictionary cover to cover when he ran out of other books. He and his father bonded over bird watching, photography, beekeeping, dairy goats and gardening. Remarkably, at 22 months old, Bill could identify well over 200 bird species as well as many of their songs. These interests followed him his entire life. He was baptized at age twelve and felt the call then to ministry, but he buried this vocational call until after World War II. 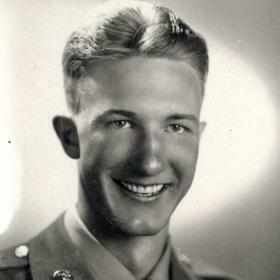 Bill graduated from Zion-Benton Township High School in 1943 and entered the University of Illinois even before his graduation. He enjoyed playing football in both high school and college. During World War II, he voluntarily enlisted in the United States Army, serving as an infantryman in Germany and Czechoslovakia. He was the corporal of a ground reconnaissance unit. Quick to pick up languages, he served as interpreter for German POWs during church services. Later, he served at the Cambridge Cemetery in England where fallen war heroes were buried. After the war, he returned to Zion and worked several jobs. Bill rededicated his life to Christ during a Youth for Christ event, entered Wheaton College and graduated with a degree in Bible, then went on to seminary at Gordon Divinity School in Boston. He returned to work on staff at the Christian Catholic Church in Zion and attended Trinity Seminary in Deerfield, Illinois. Bill and his wife Peg have a unique love story that lasted 63 wonderful years. While at a conference sponsored by the historic Park Street Church in Boston, they met. Bill was attracted by her beautiful piano playing, asked her on a date, and the rest is history! He hitchhiked fifty miles each Sunday for the four short months they dated. He proposed on New Year's Eve of 1953, but she waited five months to give him an answer. Finally, the happy couple joined in marriage on October 9, 1954, at Blaney Memorial Baptist Church. Upon arrival in Boston for the wedding, Bill had to be hospitalized with a serious throat infection. The doctor eventually granted him 90 minutes' leave to travel 30 minutes to and from the wedding! After entertaining the 300 guests at the reception, Peg hurried to her groom at the hospital. She was still in her wedding gown and he had his boutonniere pinned to his bathrobe. Bill was not released until the next week. Settling into an apartment in his parents' home in Zion, they soon expanded their family. A midwife coached Bill in delivering their first daughter, Ingrid, on August 30, 1955. The next year, the young family moved to Monrovia, California where Bill pastored at Zion Chapel. Two sons joined the family there – Oren in 1956 and Barry in 1958. A large fire back in Zion destroyed the church and much of the headquarters building; Bill was called back to help rebuild. Heidi was born in 1963 and Gretchen in 1964. 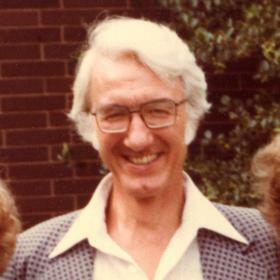 Bill served in the Christian Catholic Church twelve more years as Pastor of Missions and Director of Camp Zion in Door County, Wisconsin. He was on the original midwest team forming what is now the Christian Camp and Conference Association and established a local teen gathering center for the youth in Zion. In January 1973, the family relocated to DeMotte, Indiana where Bill took a job as a counselor to court-appointed boys at Christian Haven Home for Boys, a residential treatment center. In 1984, the family moved to Warsaw, Indiana where Bill worked as a counselor at the Bowen Center, a regional mental health provider for children and families. The foster care program he developed and taught significantly improved outcomes and positively impacted many lives. He was instrumental in founding the first Christ-centered organization in the area providing counseling and services before and after delivery to mothers with unplanned pregnancies. When Bill retired in 1992 and moved to Grosse Ile, Michigan for Peg's job, he saw an unmet need, established a counseling program at Trenton Evangelical Presbyterian Church, and provided free services to the church members. Bill devoted quality time to his family. Favorite vacations included attending Expo ‘67 in Montreal, Canada, camping in Jellystone Park, bi-annual visits to family in Dorchester, Massachusetts, and a trip to Kentucky Lake and Mammoth Cave. He was known for his delicious Saturday morning pancakes and for snatching up the first piece of Peg’s “Grandma Bread”! Bill's hobbies centered around nature. He raised dairy goats – goat cheese was a favorite – and bred Scottish terriers. His vegetable garden was abundant and his roses won prizes. Bill and Peg were active members of the choir wherever they worshiped. Their home was as open as their hearts; they welcomed many displaced patients and families, missionaries, students, and their own family members into their home over the years. Bill was a Chicago Cubs and Bears fan, but there was no doubt that he was the biggest fan of his beloved wife Peg. Each day, he awoke her at 6am with a tender love song. Bill relished his role of being a grandfather to 15; he and Peg were nannies to the six who lived in Grand Rapids. He often reminded his family that his heart-felt prayer was that each and every one would have a personal and ongoing conversation with their Savior. Whenever family gathered, Bill’s heart was full!